We at KeysDAN Enterprises, Inc. Live Entertainment and Disc Jockey Services would like to think that we are innovators in Computerized DJing. We use PC's and over 50,000 MP3's to suit nearly every occasion. We have tunes that will satisfy from the 40's, 50's, 60's, 70's, 80's, 90's,and today's hottest hits from nearly every genre. You pick it, we will play it. 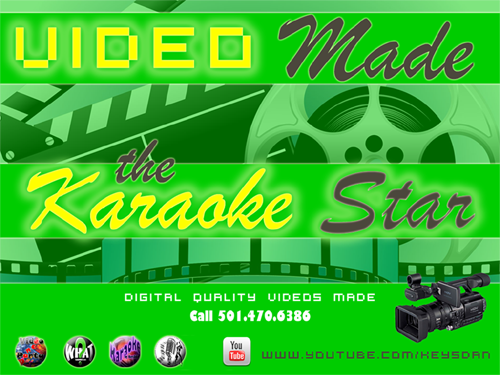 We are based out of the Arkansas DJ, Arkansas DJs, Ar DJ, Ar DJs, Event Planner Arkansas, Karaoke Ar, Arkansas Bands, Ar Band, Little Rock DJ, Hot Springs DJ - Arkansas DJ, Arkansas DJs, Arkansas Wedding DJ, Little Rock DJ, Little Rock DJs, Conway Arkansas DJ, Hot Springs DJs, Fayetteville Ar Disc Jockey, Fort Smith Ar Disc Jockeys, Central Arkansas Entertainment, Central Arkansas DJ. We can provide Live Bands for weddings, company functions, private parties, night clubs and local bars. If you need a Little Rock Arkansas band or bands we have the best. ".